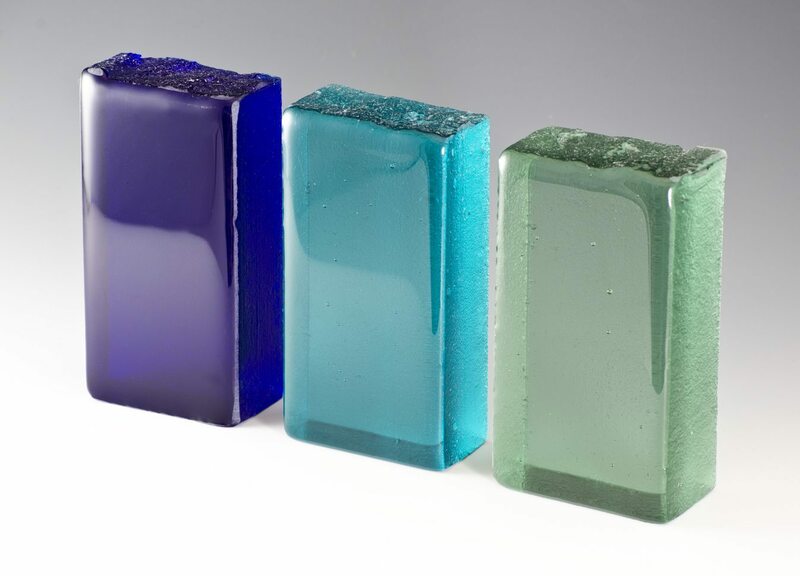 Glass Bricks. The challenge was to create a glass texture which moves, or at least give the appearance of movement. So how do Nathan Allan artists convert a flat texture less glass, and morph into a deep, flowing, moving texture? 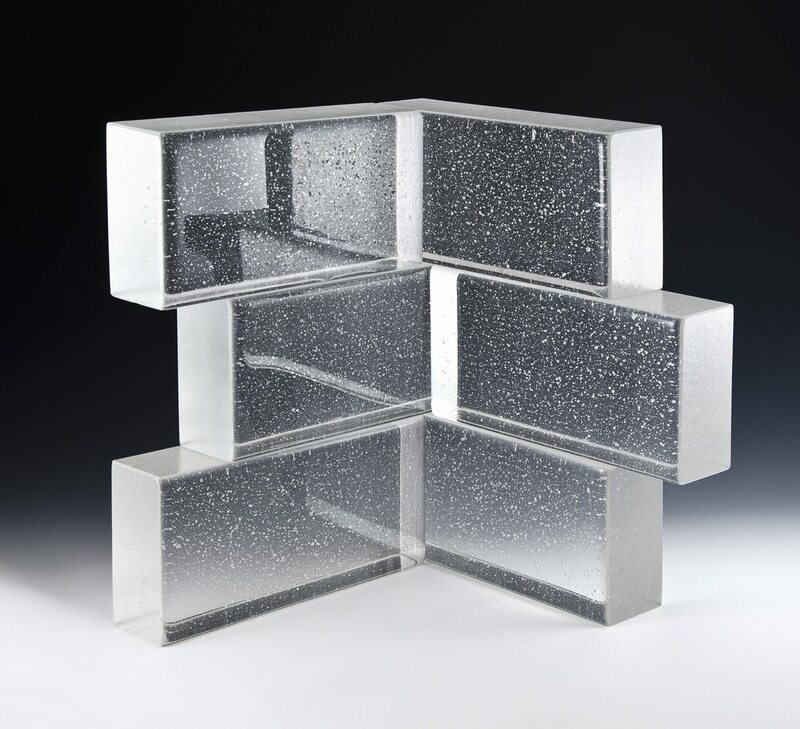 Well, we’re not about to divulge all of our decorative glass production methods, but as the photos do offer some clues, one can concur that deep, undulated molds were created to form this intriguing textured glass. 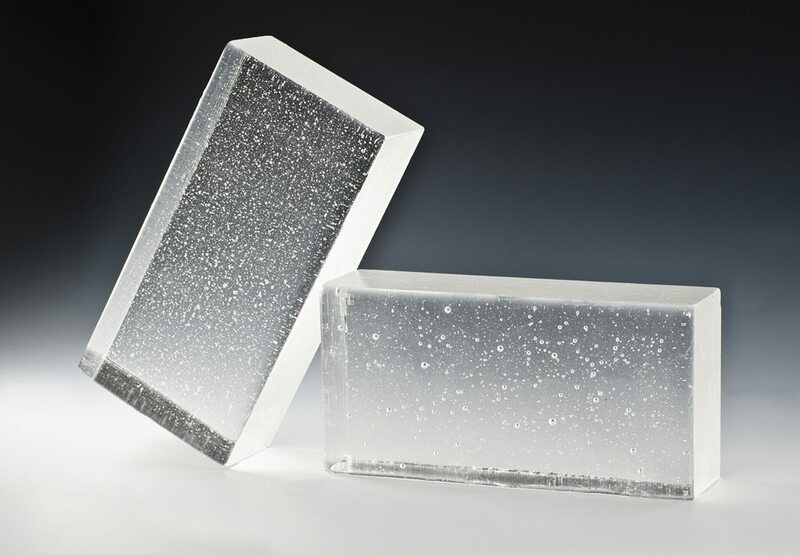 With our profound molds, mountainous peaks and deep rivulets create incredible surface shapes in this decorative glass. The combined effect shows a textured glass with flowing streams, thus the appropriate name of our “Flow” glass. Using clear, thick glass panels, the natural green tone in the clear glass is revealed and magnified with the subaqueous textured glass surface. The inviting appearance causes one to experience Nature’s Green Elements of Stone and Water. That my friends, is the entire purpose of creating “Flow”, a beautiful decorative glass which invokes a pleasant reaction. Contact Us to learn more. More Glass Bricks on our FaceBook Page.